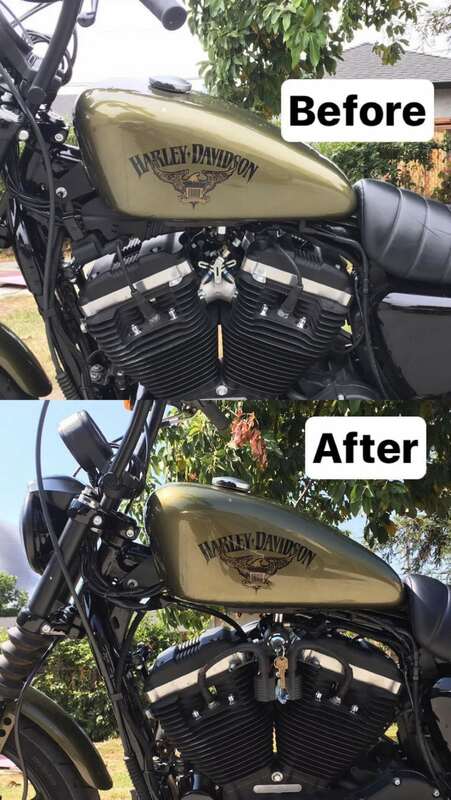 A little while back I did a great 2″ tank lift modification on my 1998 Harley-Davidson Sporstster 1200S. The tank looks really sharp in it’s more aggressive angle, but I wanted to relocate the ignition switch and coils to really make it pop. Let’s start with the basics. For those who don’t know, coils are the part that sends a spark to your cylinders. Harley-Davidsons have single fire coils, and dual fire coils. Single fire coils spark only the cylinder that’s on the compression stroke. Dual fire coils spark both cylinders at the same time. Why do people relocate Sporster coils and ignition switch? 1. Aesthetics. This is mainly an aesthetic thing. When paired with a 2″ tank lift, relocating ignition switch and coils is a great way of making the front part of your Harley-Davidson Sporster look really sharp. See pic. 2. Better cooling. Some companies claim that their ignition switch and coils relocation kits (like this one I recommend by JBSporty) helps with vehicle performance by allowing more cool air to pass over the front cylinder, and more hot air to escape from it. These are both brand new gas tanks. They work WITH Drag Specialties DS-390077 Bracket Kit to Relocate Ignition Switch 82-99 XL, BUT, the DS-390077 piece is not able to work on it’s own. To be clear, DS-390077 is not a standalone ignition switch and coils relocation kit. It must be used with either of those two new gas tanks or else it is useless. 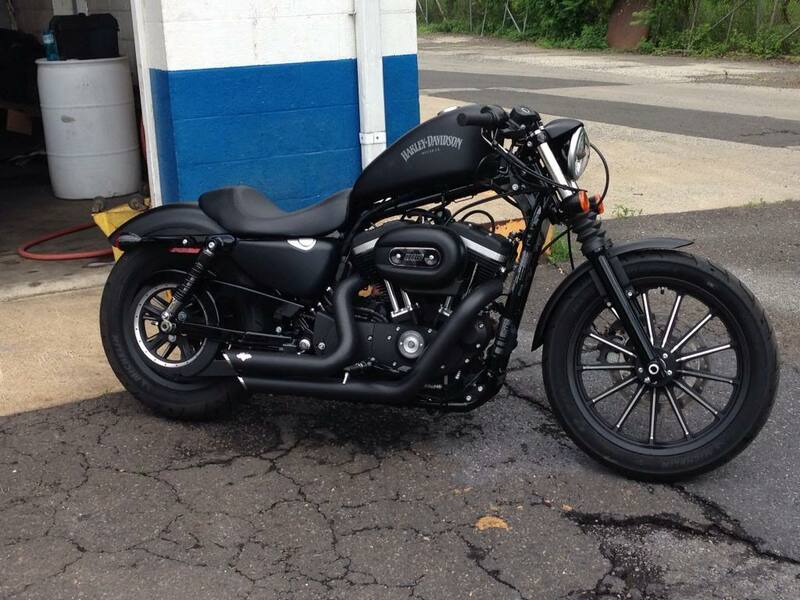 What Sportster ignition and coils relocation kit should I get instead? 1. It has a bracket. If you watched my video, you saw that the reason why my kit did not work was because I didn’t have a new bracket. You need a bracket designed to accommodate not only the ignition switch and the coils, but also designed to work around your horn. This will do that for Sportsters from 2007 and up. 2. It comes with shorter spark plug wires. You can buy just the bracket for $45 if you’re on a budget, which is a great deal, but your spark plug cables from the coils might be too long and look kind of messy. For $32 more you can get the JBSporty kit that comes with wires that are shorter for a much better look and fit. This is my first new video in a month, sorry about that! It’s been a crazy one. I sold my house, bought a new house, and unfortunately, my grandmother passed away. I’ll try to get more motovlog videos up on YouTube more often! Please Subscribe to our new YouTube channel here. If your Sportster is a 2007+ model,this ignition and coils relocation kit by JBSporty is the way to go. Unless you plan on replacing your gas tank, do not buy Drag Specialties DS-390077, you’ll be wasting your money, not saving it. If you want to show your support for the tips, tricks, and info we put out, please Subscribe to our new YouTube channel here. 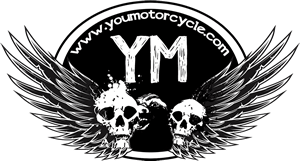 If your Sportster is from 2006 or earlier, shoot me an email and I’ll help you find the best kit for your bike. 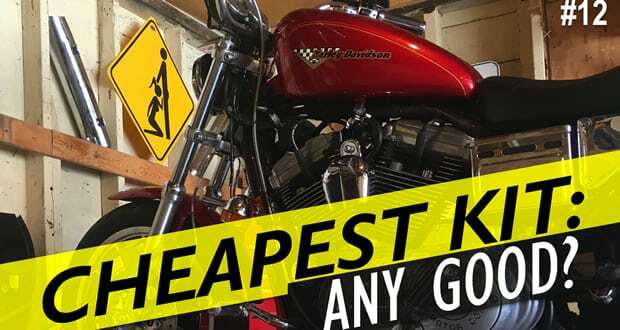 Previous: Is Your City Sick of Cafe Racers?